The All Saints Estate castle, built by George Sutherland Smith and John Banks. Last week I had a chat to an interesting woman by the name of Eliza Brown. She and her brothers Nick and Ange took over two wineries near Albury – All Saints Estate and St Leonards – following the tragic death of their father, Peter R. Brown, in a motorcycle accident. 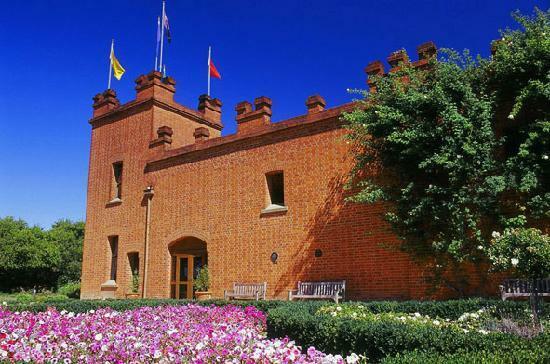 Nearly 10 years later, All Saints is celebrating 150 years – not a bad feat for a winery in such a young country as Australia, I reckon. As CEO of her family business Eliza has really turned heads in the wine industry, too, taking a strong leadership role on several fronts. Read the full story I wrote for last weekend’s Saturday Age here.